Amid dramatic scenes, Divisions between African Parties failed elephant populations today, denying them the CITES Appendix I listing which would offer them the greatest possible protection from poaching and illegal trade. As a result, the proposal – supported by Botswana (a country that at previous CoPs opposed any attempt that would restrict trade in ivory) and most other elephant range states, – despite the strong support of France and Luxembourg, failed to garner the decisive support of the European Union as a collective voting block which would have guaranteed the long term security of elephant populations throughout the continent. African elephants currently occur in 37 countries in sub-Saharan Africa. Large tracts of continuous elephant range remain in parts of Central, Eastern and Southern Africa but elephant distribution is becoming increasingly fragmented across the continent. The overall African elephant population is in steep decline, with an estimated 30 per cent loss in the past seven years. Proposal 14 submitted by Namibia, was rejected by 73 against, 27 in favor and 9 abstentions. Proposal 15 submitted by Namibia and Zimbabwe, was rejected by 80 against, 21 in favor and 11 abstentions. Proposal 16 submitted by Benin and 12 others was 62 against, 44 in favor and 12 abstentions. “This is a tragedy for elephants. At a time when we are seeing such a dramatic increase in the slaughter of elephants for ivory, now was the time for the global community to step up and say ‘no more!’,” said Kelvin Alie, Wildlife Program Director for IFAW. Namibia, South Africa, Zambia and Zimbabwe refused to accept the consensus amongst elephant range states – including Botswana and Malawi who had previously shared their position – to up-list all elephants to Appendix I. The group argued they should be excluded from Appendix I as they had stable populations. Parties led by Botswana and Gabon countered that Southern African range states should show solidarity with their African compatriots, and give the highest protection for elephants whilst they were at risk throughout the continent. IFAW’s Alie said: “Parties now have a moral obligation to ensure that they do all they can to protect this species. They must close domestic ivory markets, and help secure elephant populations across their entire range”. Yet, despite efforts by China and the US, an attempt by 10 African elephant range states, led by Angola, calling for Parties with legal domestic markets to close them failed to get the necessary support. The final agreement now only encourages countries to close their markets if it can be shown to contribute to poaching and illegal trade. “In the working group China, whose ivory market has in recent years contributed to the escalation in elephant poaching, took the strongest position of any party in the room. They wanted the resolution to urge countries to close domestic markets whether or not those markets were directly tied to poaching in Africa,” said Grace Gabriel, IFAW Regional Director for Asia. However it was not all doom and gloom for elephants; Parties led by the EU roundly rejected attempts by Namibia and Zimbabwe to remove any restrictions on trade for their elephant populations, which would have opened the door to trade. 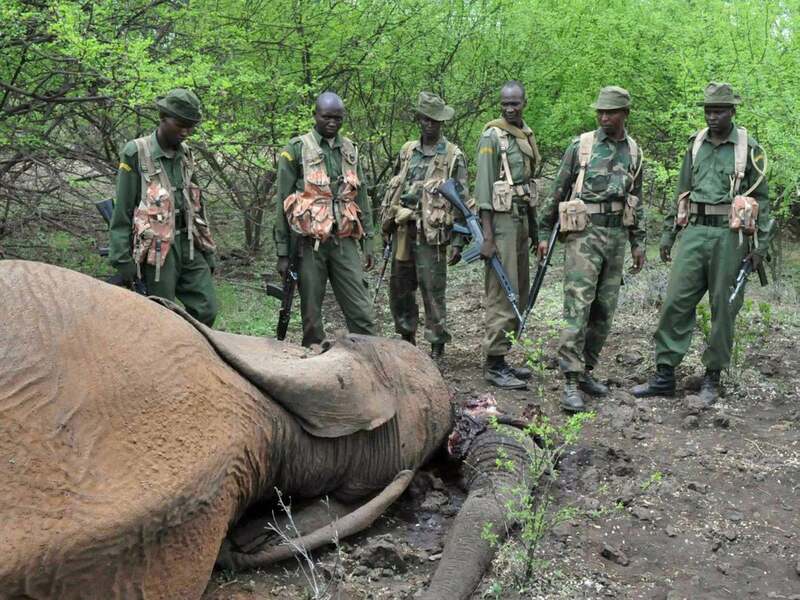 Last week CITES also voted to unequivocally abandon the controversial Decision Making Mechanism (DMM) for a process to trade in ivory. “IFAW fully supported this decision. Given the current elephant poaching crisis and the need to urgently address the lack of enforcement and compliance there is no room for consideration of a process that would allow trade in ivory” said Kelvin Alie.